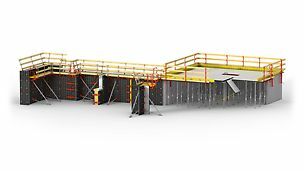 Slab Formwork essentially consists of a horizontal load-bearing structure which supports the formlining and transfers the forces into the shoring. 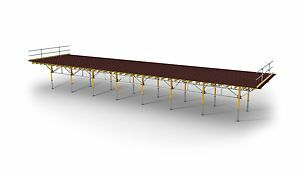 For girder slab formwork, wooden or aluminum girders are crosswise-mounted and covered with formlining of choice. 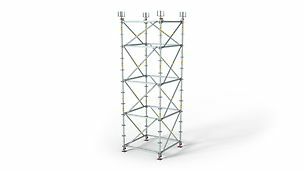 This construction allows easy adjustment to accommodate different loads and ground plan geometries. 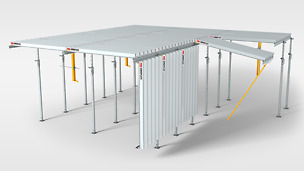 Large-sized slab tables are prefabricated based on the same principle and then delivered to the construction site. 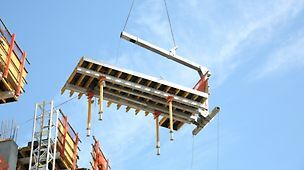 After use, the slab tables are transported below the slab to a position which can be reached with the crane and, from there, moved to the new concreting section. 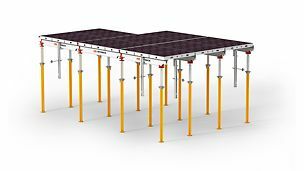 Tables provide a very high level of safety in particular at the slab edges, and ensure very fast shuttering times for large-sized areas. 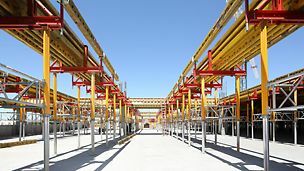 Modern modular slab formwork systems comprised of panels or girder grids facilitate fast forming operations due to a minimum of individual components and a systematic assembly sequence. 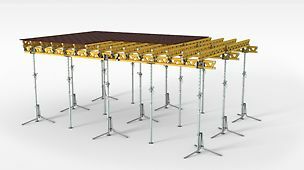 For filler areas, complementary system components provide quick and reliable implementation solutions.